MA in Architecture and Fine Arts, Graduate Diploma in Architecture, PhD in Architecture (topic: computer aided design); founder-President of University Architecture Society; President of University Society of Arts; founder-member of Land Use and Built Form Studies research centre, now the Martin Centre. 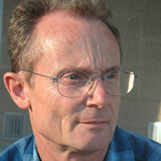 Co-founder of Applied Research of Cambridge Ltd: a company, later sold to aircraft manufacturers McDonnell-Douglas, specializing in developing CAD software. Architectural assistant to O’Neill Ford (San Antonio, Texas) and James Stirling (London). Chartered architect and member of the Royal Institute of British Architects. Partner in Edward Cullinan Architects, specializing in typological innovation for social housing. European Editor of refereed Journal of Architectural and Planning Research. Editorial Board of refereed Architectural Research Quarterly. UK Correspondent of Venetian Studies newsletter News on the Rialto. At Greenwich, North London, and Kingston universities, and the Architectural Association, Chinese University of Hong Kong, Institute of Contemporary Arts, Kent Institute of Art and Design, Royal College of Art, Frankfurt Städelschule, UK Design Council, University of California Los Angeles, Venice Architecture Biennale, and Warsaw Technical University. At Bath (BSc, MArch, PhD), Cambridge (Graduate Diploma), Cardiff (MPhil), De Montfort (BA, Graduate Diploma) and Strathclyde (PhD) universities, and the Buckinghamshire College of Higher Education (BA), Kent Institute of Art and Design (BA, BArch), Royal College of Art (MA), University of Wales Institute of Science and Technology (BSc). Personal Chair in Architectural Theory and Criticism, University College London. The Director of the Bartlett School of Architecture; founder-Director of its PhD by Architectural Design programme. Visiting Professor and PhD supervisor, Bartlett School, University College London. Visiting Professor, Interaction Design Institute Ivrea (Italy). Co-founder (with Gillian Crampton Smith) and Vice-Director of the Interaction Design programme in the Visual and Multimedia Communication graduate degree, Faculty of Design and Arts, IUAV University of Venice. (With Gillian Crampton Smith). In Sebastiano Bagnara, Gillian Crampton Smith, editors. Theories and Practice in Interaction Design. Doors of Perception conference 7: Flow. Towards the Aesthetics of the Future conference, Institute of Contemporary Arts. Published in Iain Borden, Joe Kerr, Jane Rendell, editors. The Unknown City: Contesting Architecture and Social Space. Also in Martin Pearce and Neil Spiller, editors. Architects in Cyberspace (Architectural Design Profile no. 118). (With Gillian Crampton Smith). In Terry Winograd, editor. Bringing Software to Design. (With Terry Winograd). In Terry Winograd, editor. Bringing Software to Design. (With Gillian Crampton Smith). Human-Computer Interaction. Vol. 9, no, 1. 1994.